A seafarer detained in Panama following an accident on board their ship has finally flown home and reunited with his family. The case of Jelcris Rontale, 42, former Bosun of the Dutch general cargo ship Beauforce, took19 months before the Filipino seaman got cleared in an alleged homicide and repatriated to Manila. His mother and elder sister gladly met him at the NAIA Terminal 3 last 10 January 2017. Panamanian authorities held and refused Rontale from returning to his ship when he was implicated in the death of a compatriot crewmember, O/S Andres Quimpan, during cargo operation on board. Quimpan died after Rontale, who was driving and operating a gantry crane, was said to have accidentally hit and crashed the victim when shifting the load by the crane. Rontale said he wondered how the victim came to be on the path of the load when it was supposed to be cleared of any obstruction during cargo operation. The incident occurred whilst the Beauforce was anchored as it prepared to transit Panama Canal. He immediately rushed down from his post and called for help from fellow crewmen upon seeing Quimpan’s lifeless body. The 8,284 DWT vessel made its transit to the Canal and sailed to its next port without Rontale as Panama authorities took him to the fiscal’s office in which a judge ordered him to be detaineded in June 2015. The P&I Club provided a lawyer and resisted to remand him not to be in jail, but in a hotel in the Panamanian city of Colon, a sea port beside the Caribbean Sea lying near the Atlantic entrance to the Panama Canal. Pending investigation of the accident, he had to report to authorities every fortnight as the case dragged on for days and months. Whilst under arrest, Rontale claimed that he became devastated, and went on the verge to commit suicide days after the incident that killed his shipmate. He was on the eighth of his nine-month contract when the incident happened and was looking forward to a vacation in Bacolod, where his family resides. He sobbed with tears in his eyes as he recounted the incident to Sailing Forward. “Natakot ako sa nangyari, wala naman may gusto nun,” he said. (I feared for what happened, though nobody ever wanted it.) He said he could not sleep for almost two weeks right after the incident. “It always gets into my mind and at the same time I also think of my family,” said Rontale, who is married, with a son and daughter at nine and 14 years, respectively. He was able to resist all the negative thoughts by talking to the members of his family almost every day by phone and webcam. However, his work contract expired after a couple of months while being held in Panama. This forced the employer in Netherlands to suspend payment of his monthly wages. What he did was to look for help by contacting the ITF regarding the issue of compensation and at the same time make a fast resolution of his case. 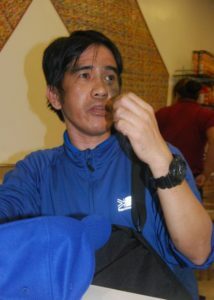 Through the ITF and the Dutch seafarers union Nautilus, Rontale’s appeal for repatriation to Manila moved in progress. AMOSUP, which Rontale is a member, also pressed for the Department of Foreign Affairs to provide an immediate assistance. 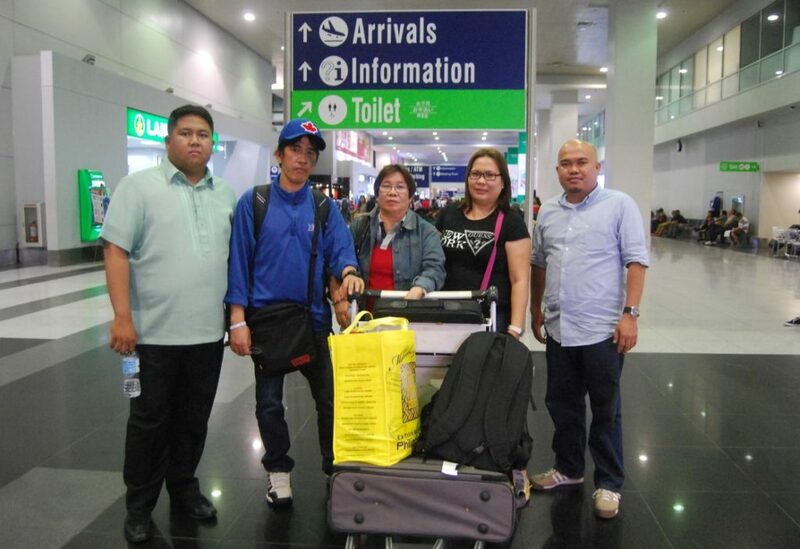 AMOSUP president Dr Conrado Oca requested the DFA’s Migrant Workers Affairs to send its labour attache in Panama to look into Rontale’s condition. “On the eighth month, parang lumilinaw na ang kaso ko (seems my case begins to light up into a resolution),” he said. “Hindi naman nila ako pinabayaan”, (They did not leave me in the cold), noted Rontale, referring to the efforts being exerted by the unions during his arrest. Apart from financial assistance, the union also gave him moral support while he was in custody. He thanked the AMOSUP legal staff and the ITF, through Jacquelyn Smith who had visited him in Panama. He added that Nautilus assistant general secretary Marcel van den Broek exerted efforts both in boosting his morale and facilitating his release. He said he was advised and counseled well during the months whilst under arrest in foreign shore. 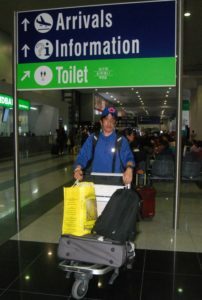 AMOSUP legal department, through lawyer Henry Zamora, used to call at least two to three times a week about the boatswain’s case, with the intent to repatriate him to the Philippines. Rontale now plans to return to work, perhaps with Euro Asiatic Shipping, his manning agency since October 2007 when he debuted for a job on an oceangoing ship. Prior to sailing overseas he worked for seven years in the Philippines interisland shipping.